Granola, yogurt, fresh fruit, with a drizzle of honey is one of my favourite ways to start the day. 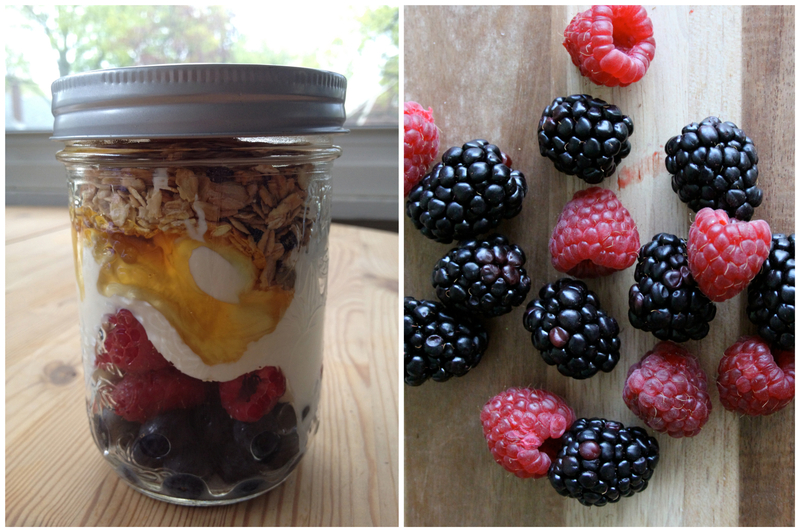 And when I’m in a rush (which is too often) I toss it all into a jar and I’ve got breakfast to go. 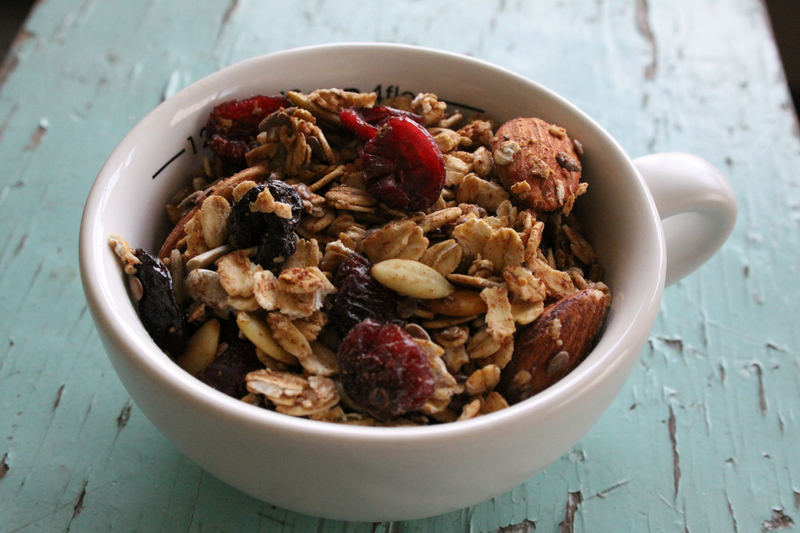 I often make a double batch so I can freeze it and then I always have some granola on hand. Make it your way: you can swap sunflower seeds for pumpkin seeds. Or use shredded coconut instead of flax seeds. Line cookie sheet with parchment paper or aluminum foil. This makes transferring finished granola to jars much easier, not to mention how easy it makes cleaning your cookie sheet. Combine oats, nuts, flax seeds, and spices in mixing bowl. Slowly pour in honey. Mix thoroughly. You may think that you don’t have enough honey, but keep stirring until fully combined. The honey will go farther than you think. Spread evenly on cookie sheet. Bake in oven for 20 minutes. Give the granola a stir. Bake for another 15-20 minutes until lightly browned. Remove from oven and immediately stir in dried fruit. Allow granola to cool. Break into clumps. Store in airtight container for up to 1 week or freeze in small batches for up to 2 months. Makes approximately 6 cups.